Dizzy fans rejoice! In what seems like an unending trove of unreleased software that Philip and Andrew Oliver have found down the back of their sofa, Panic! Dizzy is the latest in a line of rediscovered Dizzy titles seeking crowdfunding. The game will be free to play on their website, but the pair are kickstarting the production of NES cartridges just as they have for Wonderland Dizzy, Dreamworld Pogie and Mystery World Dizzy. This game was written, by Philip and Andrew, in the autumn of 1992 in just 64KB using PCs with PDS boards cabled to NES consoles. Unfortunately Panic! Dizzy wasn’t released by Codemasters at the time and was moth-balled. It was only recently rediscovered and restored by Dizzy fan Lukasz Kur for this very Kickstarter Campaign. 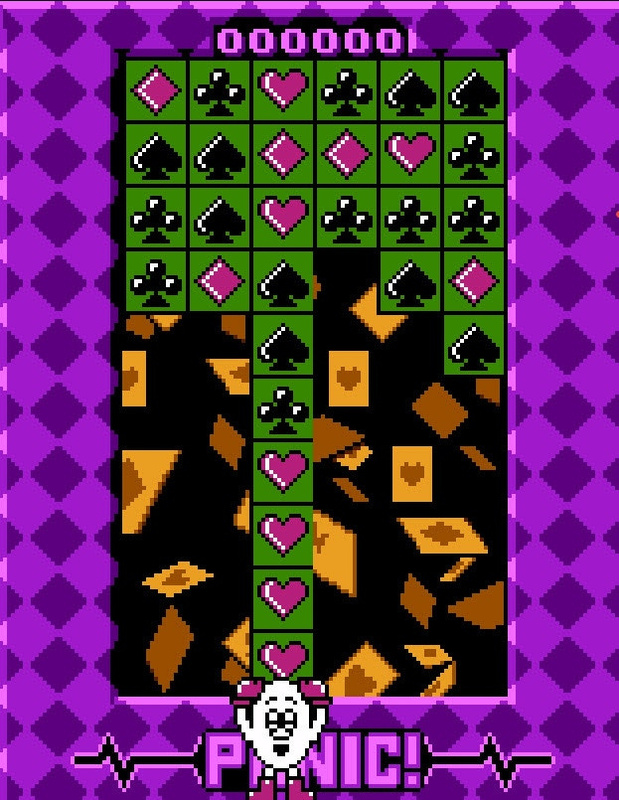 The game features five different puzzle modes - Four Suits, Match More, Dizzy Dice, Perfect Path and Picture Perfect - each with two-player support. A couple of them bear a passing resemblance to Data East's Magical Drop - you can find more details on the Kickstarter page. They're close to reaching their £13,500 goal, so it seems this will become a reality. It's unthinkable today that a developer could possibly create a game and promptly forget all about it - how times have changed. Is your head spinning with all these unearthed Dizzy games? Reckon the Oliver twins have anything else pugged away in a bottom drawer somewhere? Let slip your Dizzy fandom in the comments below. 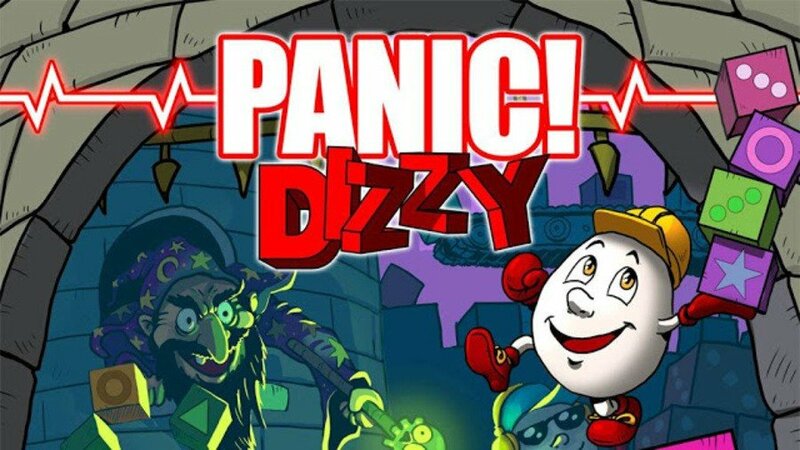 So this isn't to be confused with Dizzy Panic, which was released on 8-bit systems? Strange how it had such a similar name. I wish a remake of the original Dizzy adventure game was in the works. I never finished it, but it was captivating. I played a lot of the old Dizzy games on ZX Spectrum but I'm pretty sure a 'new' one isn't going to hold up these days. Sometimes nostalgia needs to stay as nostalgia. @dystome @SmaggTheSmug They are making a new Dizzy game, but it's for the ZX Spectrum Next. Not heard much about the game but it's apparently happening. Think they released one or two screenshots a little while back. Any chance of a Famicom release? Dizzy collection for Switch PLEASE!!! And there i was thinking this was a joke so i Googled Spectrum Next and boom there it was. Yep I echo that , let’s get these in a collection for the switch ! @Welshland I did think perhaps I should clarify it was a real thing when commenting. I backed it and they have provided updates on every step of production. It's not emulated but entirely hardware based - it is effectively an 8 bit ZX Spectrum but backwards compatible with all existing games. Nice to see them still finding some gold buried beneath their archives. @dystome I don't get what you mean? I'm old enough the have played on a ZX Spectrum & none of my other beloved 80s franchises have been ruined. Except Ninja Turtles, Transformers, She-Ra, ReBoot..
@dystome I downloaded a few of the originals a year or two back and loved replaying them. They obviously are pretty short buy today’s gaming standards but I still enjoyed the nostalgia trip if nothing else. I owned loads of Dizzy games back in my Amiga 500 days. I didn’t even know they had been released on a Nintendo console to be honest. Always up for a trip down nostalgia lane though! @Ooyah On the ZX Spectrum it was called Dizzy Panic on the box but Panic Dizzy on the loading screen (or vice versa, I can't remember). They used to be SO prolific, and I admired them greatly growing up. Half a dozen amazing games a year. The ultimate duo. Some days I wonder, if they actually sat down and made "little" games nowadays, for mobile, or eShop, or GameJams, or something.. what wonderful games they'd create. I wonder why they don't do that more..
Give us the Dizzy Collection FFS. Fantasy World Dizzy on the Spectrum in 1989 was the first time I'd heard any kind of speech on a computer game and I couldn't get over it, well I was 12! There's no real wonder like that anymore or is that because I'm now 42. @antonvaltaz Once got into an argument with someone at college (me a CPC owner, him a C64 owner) about that, before we both came to the realisation. Played through a bunch of the old Dizzy games on Amiga just recently. There’s something about that formula that I really connect with. The spin-off games... not so much. 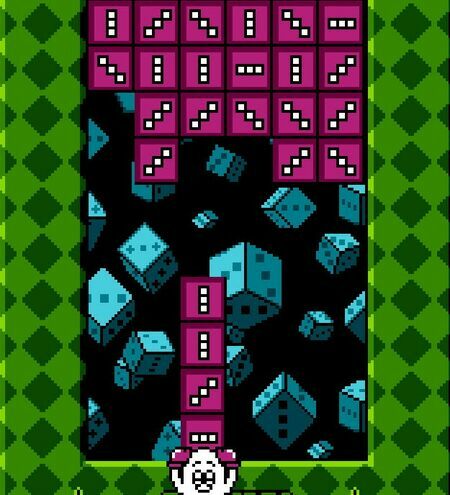 The first time I played Dizzy was on the monochrome green Schneider CPC. It felt like a good adventure game at the time (late 80ies.) 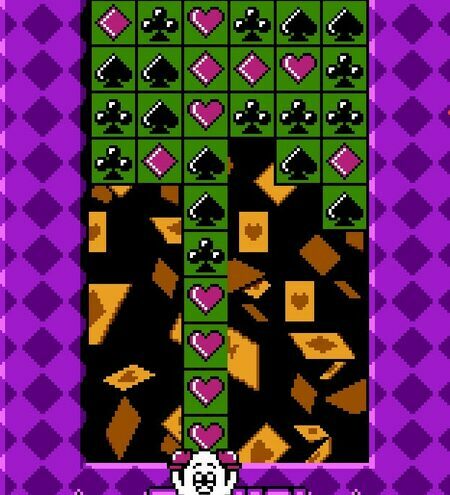 Unfortunately it was lots of try&error, puzzles were often cryptic, and even though it looked like a kids game we were never able to beat it because of the strict life limit. I later played a C64 Dizzy-sequel (island themed). At least it was in 16 colors, but it was still difficult enough to be frustrating. I tried it a bit but gave up. My platforming preferences at the time were Bubble Bobble, Bomb Jack, Wonder Boy, and Giana Sisters and I got my adventure fix from Maniac Mansion, Zak McKracken, and Project Firestart instead. Wow what a blast from my childhood... Dizzy. The original was very challenging back in the day. 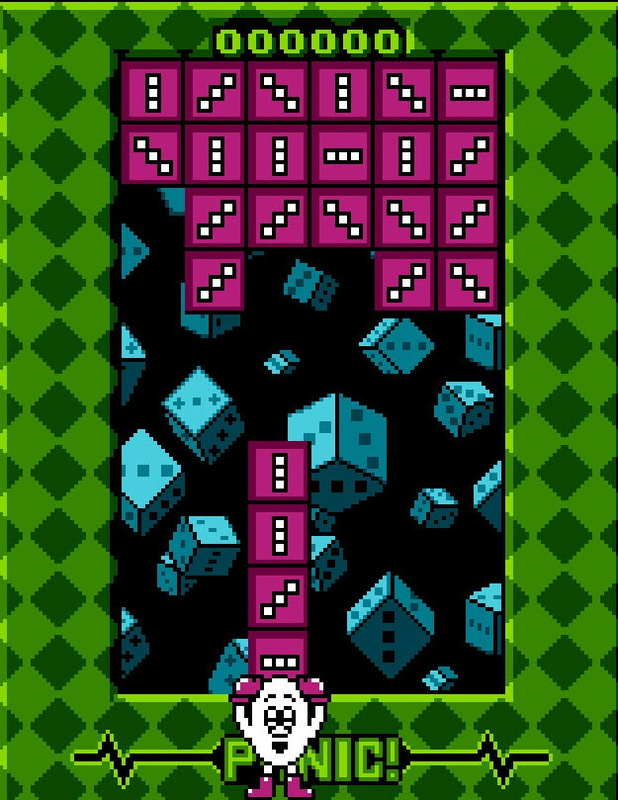 The dice matching game resembles a game released on the NES called Palamedes (or maybe its Famicom-exclusive sequel, I do remember the rules were slightly different between the two).